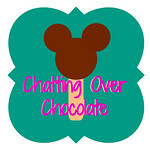 Chatting Over Chocolate: Welcome, welcome! My first post on this fresh, new blog! Will anyone read it? Well, I guess you are! Fancy that, my words are now being narrated your voice. ;) Welcome, lovey reader! Thanks for visiting! I hope to fill this blog with encouragement, laughter, recipes, crafts, freebie finds, and a whole lot of fun! May you always leave inspired and glad you stopped by for a visit! Also, as much as I love my daughters, and beam with pride over their accomplishments, creativity, and just plain awesomeness, I know they aren't perfect either. The Bible assures me none of us are ~ "as it is written: 'None is righteous, no, not one; no one understands; no one seeks for God ... no one does good, not even one.'" (Romans 3:11,12) ... plus in my time as their mama, I've seen a few melt downs that weren't for the faint of heart. I will not portray us as an unblemished family, with a white picket fence surrounding our spotless home, where we dine on china each night of the week. I desire to be real with you, my reader & possible future blogger friend. So, just remember if I post a photo of a beautifully decorated mantle, there's a good chance that there's a pile of toys at my feet, and a stack of homeschool curriculum in the corner. "Picture Perfect" can be deceiving. I pray I'll allow you to see the "whole picture". I believe it's more encouraging to share that I too have a heated battle with dirty dishes and laundry, than to pretend I breeze through life as seemingly flawless as June Cleaver. I'm so honored you took the time to stop by today! Have yourself a fabulous Friday! Hope you'll visit me here again soon!! "This is the day that the Lord has made, let us rejoice and be glad in it."